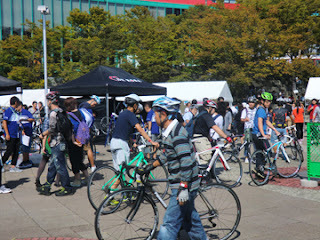 Do you like Sports Bicycles? In Japan,Sports Bicycles are becoming very popular among many people these days. 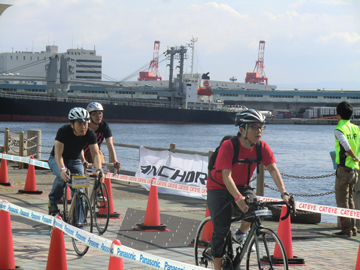 Today,I came to a big complex facility in Osaka, called "ATC", Asia & Pacific Trade Center at South Port,Osaka. Sports Bicycles Festival is held here today. 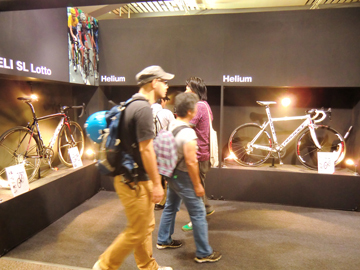 Various kinds of Sports Bikes from all over the world are displayed here today, and we can also try our favorite brand bicycles to our hearts content! I'm not so big fan of Sports Bikes,but it is my husband's favorite. 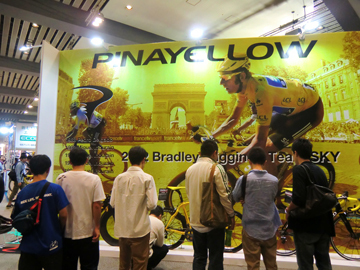 This is "PINARELLO",an invincible brand of Big Race. It is an Italian bicycle manufacturer in Treviso,Italy.Really famous bicycle brand. 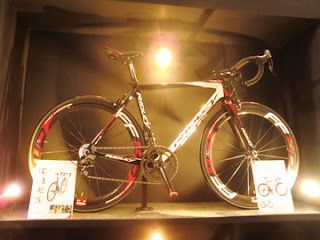 It is at the top position of road bikes world. 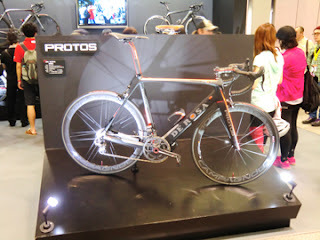 It is really a stylish, cool bike! 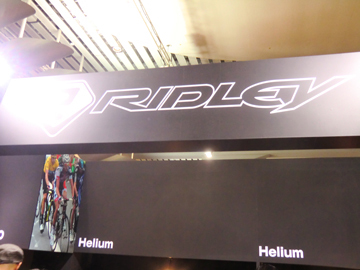 RIDLEY is famous Belgian bicycle manufacturer. In Belgium,Bicycle is a national sport. so it is really hard for professional riders to ride bicycles on such roads. and that is why many Champions are produced from Belgium. This is also an Italian bicycle manufacturer,established by Ugo De Rosa. 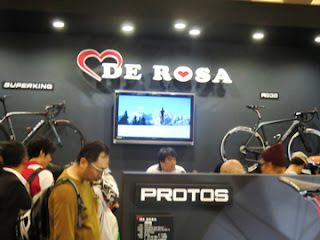 To my surprise,Ugo De Rosa established this company when he was 18 years old! This is very popular bike brand in Japan. Wow, this is a dream bicycle with sail! 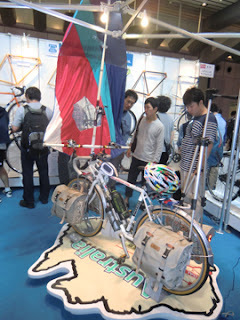 How wonderful it would be if I could ride this bicycle! I've never seen such bicycle before. It is really interesting. Let's go outside for a change of air. These people are waiting for their turn to test ride of their favorite bikes. 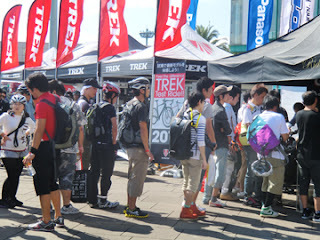 There are so many booths of each bicycle brands. 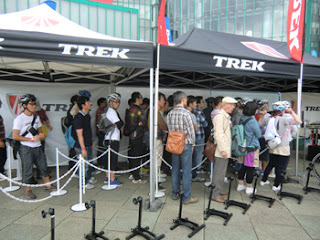 People are standing in a long line,waiting for their turn to ride. 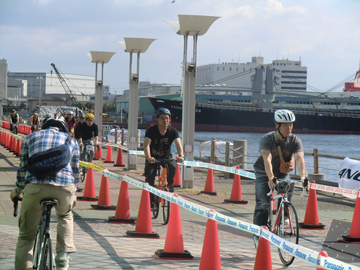 This is the scenery of the test ride course. My husband took a test ride three times. 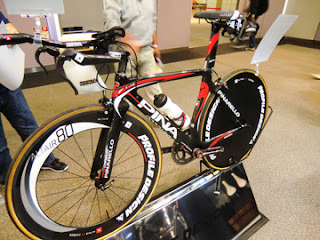 I also rode this sports bike, but it was a little difficult for me. It takes a bit of getting used to. I'm sure you will feel so refreshed,pedal along the coastal road,on a fine beautiful autumn day!